Dentures are a set of removable replacement teeth, made of either metal or acrylic resin, which are molded to fit the exact shape of an individual's mouth, and can be taken in and out at anytime. There are numerous reasons one might require dentures; from poor dental hygiene, to gum disease (Periodontal Disease), to simply losing teeth from sports injuries or accidents. Regardless of you only need several teeth replaced (Partial Dentures), or require a full set of teeth (Complete Dentures), your dentist should be able to make a full evaluation of your mouth to determine the best course of action. "Edentulous" means missing teeth. The overwhelming majority of seniors have some endentulism, and nearly all of those affected have dentures or some other form of prosthetic. So, if you are over 65 and mostly socialize with people your own age, the majority of your friends have false teeth. 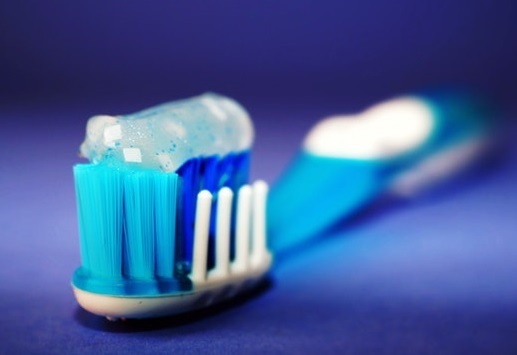 Why do Seniors Suffer from Poor Oral Hygiene Later in Life? Seniors usually have different dental needs than the rest of the population, and that is why there are geriatric dentists. These dentists specialize in helping patients with more severe conditions that usually only show up after a good amount of wear and tear has been going on for a while. Unlike some other parts of our bodies, teeth do not readily heal themselves over short amounts of time. A major "cause" of poor dental hygiene in seniors is simply that they have had their teeth longer: those teeth have been through more wear and tear. And, unlike many other body parts, teeth do not regenerate. This also goes for the "work" done in the past. Cavity fillings are not meant to last forever, and patents often times need to get them touched up every few years. Bone density is another common cause. Teeth ARE bones, so a lack of calcium over an extended period of time can leave them weak and frail. Plus, arthritis is an inflammatory disease that can cause toothaches. When we are young, we take things for granted (and our teeth were no exception). If a screw needed turning, a strap needed tightening or a beer bottle opened, lots of us would just go at it with our teeth, if there were not a tool readily available. Furthermore, many seniors, especially those in their 80's and 90's, begin to neglect their oral hygiene by not brushing and flossing as often as they used to. Dentures are less expensive than the oral surgeries mentioned below. A professional should probably fit you for your dentures for the best fit and type, however some generic dentures are extremely inexpensive. A set of dentures could last up to 10 years. Since they are a prosthetic, dentures do not required dental surgery to be fitted. The biggest complaint about dentures by wearers is the slippage. This is when you are using them and the adhesive gives out. This problem can be minimized experimenting with different adhesive brands, and finding a better fitting set of dentures. It is always a good idea to keep an extra tube of adhesive close in case of emergencies. The biggest complaint about dentures by dentists is the potential bone loss. The upper and lower jawbones may shrink without teeth. This causes deep nerves in the bone to surface, and associated pain associated. The dentures will also need to be refitted. Dentures require different upkeep than actual teeth or more permanent options. Dentures need to be immersed in a solution overnight, to keep them fresh and germ-free. People new to dentures may be embarrassed at the thought of someone seeing them without their teeth. Dentures are not the only solution available if you or an elderly loved one is suffering from tooth decay or poor dental hygiene. Below are other options for you to choose from. Veneers repair the surface of your teeth. The dentist applies coats of resin on top of the teeth. Doing this, she can give them a more robust shape and change the coloration. Veneers are a very light procedure, but require that the patient have a good base of healthy teeth on which to build from. Crowns are a lot like veneers, only more intensive. Where veneers are mostly for aesthetic purposes, crowns are required for a fully functional mouth. They bolster unhealthy teeth that are only partially still there due to chipping or cavities. Crowns sit onto of the original teeth, usually covering them completely. Bridges are for sporadically missing teeth. For these, the dentist engineers a way for surrounding teeth to prop false teeth. They are sometimes also attached to the jaw (see below). The 3 options above all require some original teeth, to work as anchors. Implants do not have that restriction, and are therefore the other option beside dentures for people with fully edentulous mouths. Implants work by drilling screws into the jawbone at strategic places to act as roots for the new teeth. The new teeth are then attached to these roots. A fixed bridge is the whole shebang. The dentist will insert several new roots into your jawbone, and create a full arch of teeth to fit on top. This is the route most dentists would choose to go (depending on situation, of course). The fixed bridge is very stable, so there is no slippage, and the jawbone does not recede due to disuse. The dentist can remove and update the bridge, should the teeth get damaged. The dentist will attach temporary fixed bridges, when she is working on your permanent bridge. The teeth will be attached in such a way that only the dentist will be able to remove them. Pros - They require practically the same maintenance a natural set of teeth does. Depending on your individual set, you may need to floss in some places, too. Checkups and repair visits are relatively easy and painless. Cons - Bridges take several visits to the dentist to complete. Fixed bridges tend to be expensive. The initial root-laying surgery is quite intensive: It will be quite painful, and takes multiple trips to the dentist to complete. Similar to fixed bridges, are implant anchored dentures. Like fixed bridges, anchored dentures rely on screw-roots attached to the jawbone. The difference lies in what goes on top of the roots. Anchored dentures attach by snapping them on and off (which the wearer does himself, every night). After snapping them off at night, they rest in solution till morning. Pros & Cons - Implant anchored dentures are really in the middle of dentures and fixed implants. They mostly lack the extreme pros and cons of the other two, as their features are mitigated. Every mouth is different, and you really need to see a dentist to help you decide which type of false teeth to go with. Geriatric specialists are dentists specializing in the issues affecting older teeth. Prosthodontists specialize in making dentures. There is obviously a lot of crossover between the two. These are the best types of dentists to talk with about these issues, but if you already have a general dentist, she can help you too.